This year apples were abundant in our part of the Midwest! In other parts, there was no apple crop due to a lovely warm spell in early spring followed by a hard freeze–after the apple blossoms had come on. We have picked at least 6 brown grocery bagsful of apples straight from the tree! 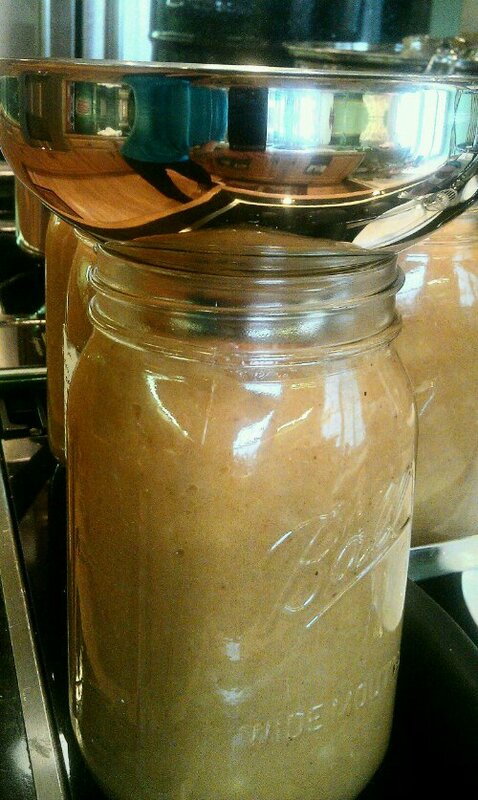 We have made three rounds of applesauce, and I still have one bagful to go after we get back from vacation. 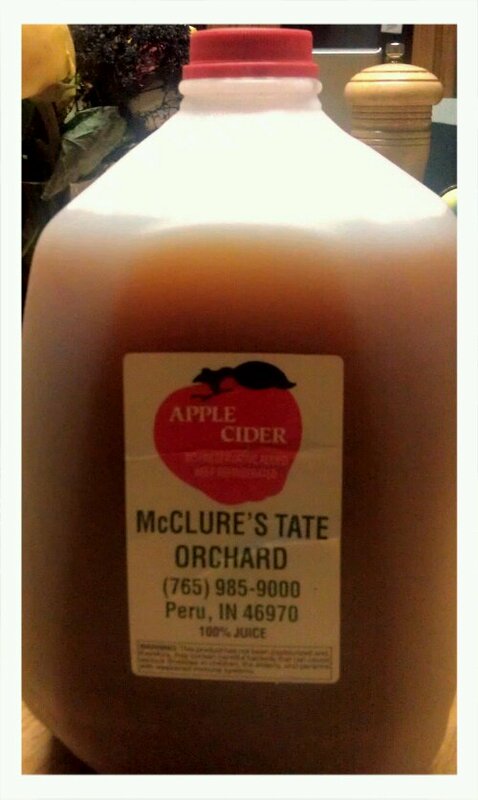 On vacation, we visited a local orchard–McClure’s Tate Orchard. They had to bring all of their apples in from Michigan. Tough year. The cider is still great and a huge treat as it is SCD legal! Wash the apples to remove any bird poop and any pesticides/herbicides that may have blown over from the neighboring farmers’ fields’ applications. 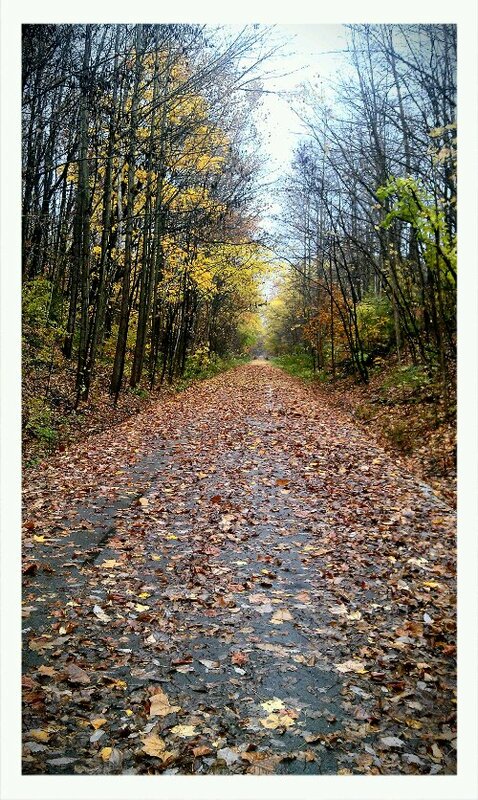 And I don’t use apples that have fallen on the ground. Deer come to eat the fallen apples and leave their droppings behind. If apples land on these piles, they are contaminated. If you are making juice or cider, this is more of a big deal. If you’re boiling apples, not so much. But this is where unpasteurized cider gets a bad rap–if any fallen apples were used, there’s a higher risk of infectious disease. 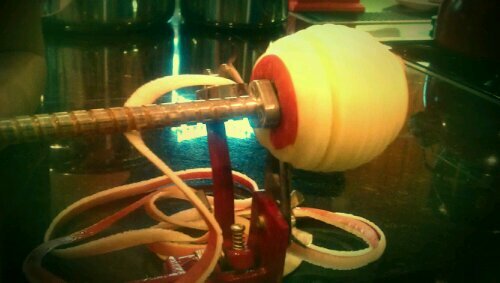 After a good washing, some apples get cored and peeled before getting cooked down. 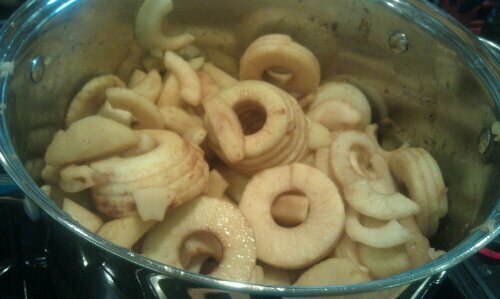 These will be the lumpy bits of the applesauce. Peeling is tedious, but we have a tool we love that helps tremendously! 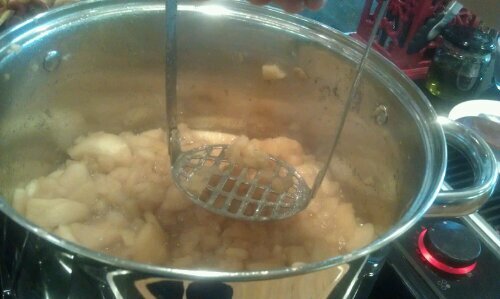 After the apples are cooked down, I use a potato masher to mush them up a bit. The smooth applesauce without lumps is a piece of cake! You don’t even have to core them! Just cut them into chunks and throw them into the pot to cook down! 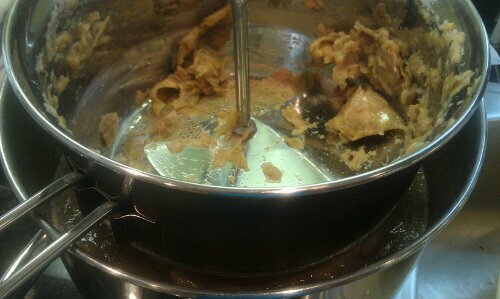 Then, pour them into a food mill and turn the handle to smoosh them through the sieve! All the gunk gets left behind! I mix the smooth sauce and the lumpy sauce together and spice them up a bit. I love to use cinnamon, nutmeg, allspice, and cloves. Easy on the cloves or it’s too spicy for the kids! If we were not cutting out forms of sugar, I’d add some maple syrup at this point. 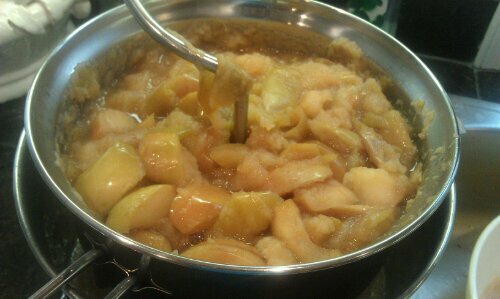 But, now, I just let the kids add it to their applesauce when they eat it if it’s not sweet enough. Next, I pour the sauce into wide mouth jars that have been run through the dishwasher sanitize cycle. Then, the lids that have been in nearly simmering water are placed on the jars. I love the magnet stick that The wide-mouth funnel I use has kept the applesauce off of the rims of the jars. If not, the rims get wiped free of stray applesauce. Finally, the jars with the lids and rims and placed in a water bath. I have had some breakage issues. What I’ve done to try to avoid this is: not put my jars in water that is too hot or too cold and not allow the water to come to a rip-roaring boil–more of a low boil. The canning pot has a rack, and I’ve always used this. I think I just stressed my jars too much with extreme temperatures and with bumping when I let them boil too hard! Impatience! Allow them to boil 20 minutes, and listen for that glorious popping sound! 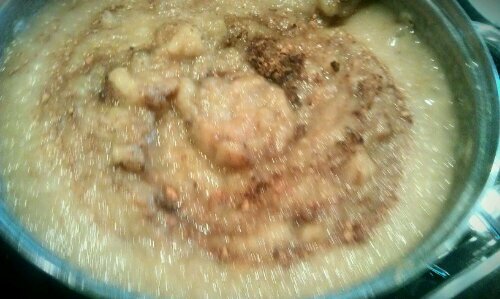 This entry was posted in Recipes and tagged Making homemade applesauce on October 28, 2012 by thehomeschoolingdoctor.